R&B singer Janelle Monáe released a blistering 6 1/2-minute protest song on Friday called "Hell You Talmbout." The song's premise is simple, and that simplicity is the source of its power. The lyrics are the chanted names of black Americans killed by police and vigilantes, followed by the phrase "say his name" or "say her name." The chorus is an anthemic, gospel-leaning repetition of the song's title. Monáe is joined on the track by a drum line and the members of her Wondaland Arts Society collective: Jidenna, Roman GianArthur, Deep Cotton, St. Beauty and George 2.0. All of the vocals are raw, several to the point of breaking. None of the names are sung. "Hell You Talmbout" would be a striking piece of music even if it's your first exposure to Monáe, but is made more so when placed next to her prior releases. She's built a career around grandiose, psychedelic songs that tap into Afrofuturist philosophy and posit her at the center of a sci-fi-inspired musical universe of her own making, one not tethered to terrestrial concerns. Her aesthetic has been deliberate and impeccable, from her physical appearance down to the meticulous choreography of her shows. That cosmic Space Age aesthetic and considered delivery are completely absent in "Hell You Talmbout." It's a ground-level song in both concept and execution. "Say Her Name" is a tag line started on Twitter, stylized with a hashtag: #SayHerName. 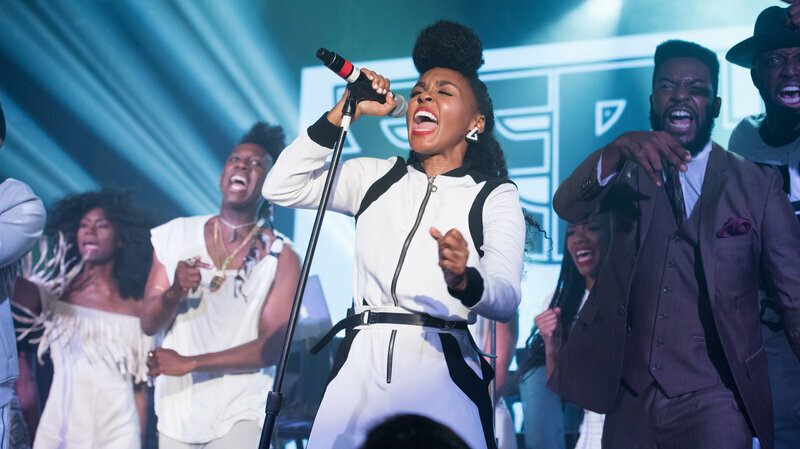 And there's nothing droidlike in how Monáe and her cohort perform the song. Voices crack and mics pop. Any creative distance between performers and audience has been eliminated, and what remains is an unadorned, visceral, undeniably earthbound piece of protest music. "Hell You Talmbout" is currently available as a stream only.